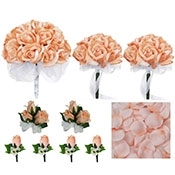 As the bride you'll already be the center of attention, but to ensure that everyone is in complete awe, consider this spectacular three dozen peach Coral silk rose wedding hand tie. Don't be burdened with a heavy fresh wedding bouquet, after all, you will be holding it for hours. 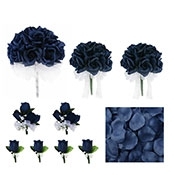 Even more stunning than a fresh bouquet, because these roses won't wilt or bruise in any weather. 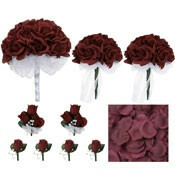 When you’re interested in pure vibrant roses without the leaves the hand tie style bouquet is the way to go. 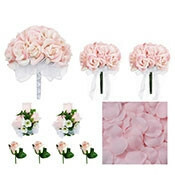 36 open Coral silk roses tied together with a beautiful bow make this bridal bouquet a sight to behold. 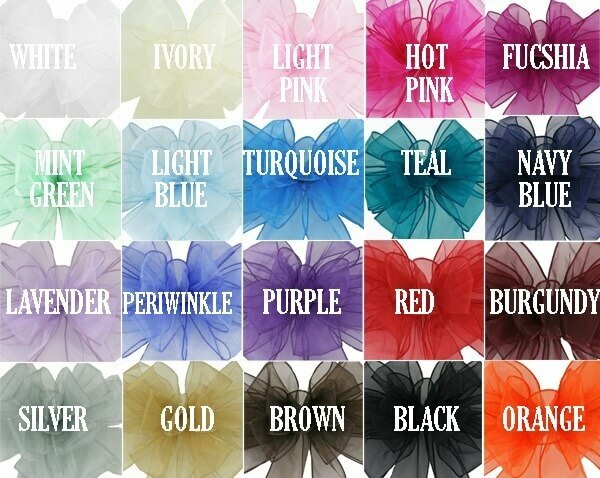 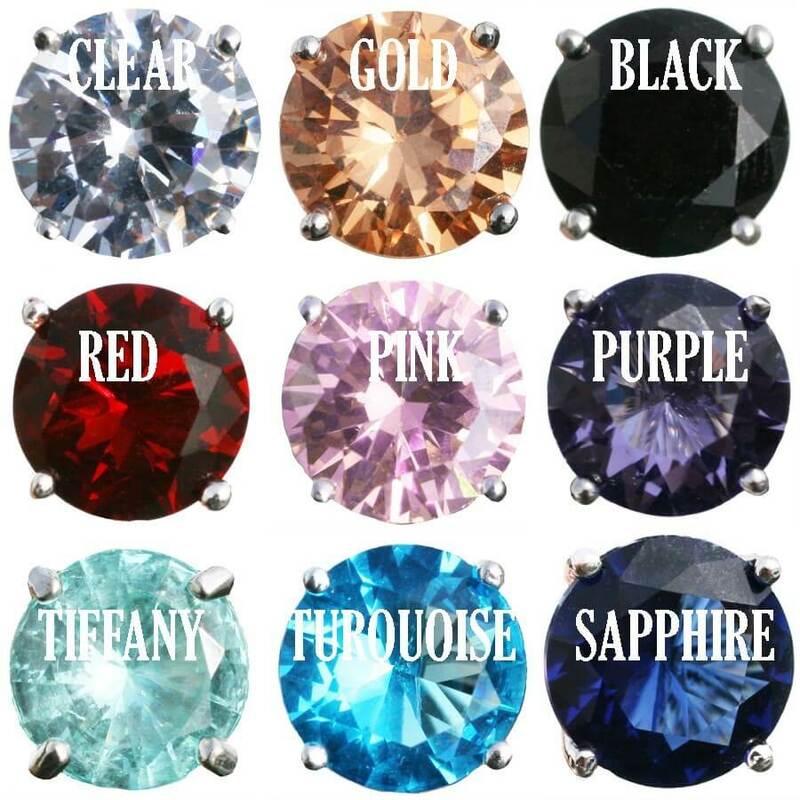 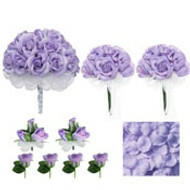 A perfect compliment for any bride or bridesmaid. 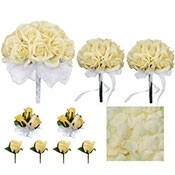 You will receive this stunning wedding bouquet of artificial roses exactly as pictured, with wired sheer ribbon for the bow and wrapped handle. 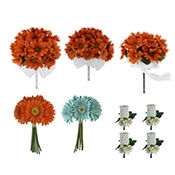 It looks like it's fresh from the garden, but will never wilt. Three dozen peach silk roses gathered together with elegant ribbon. 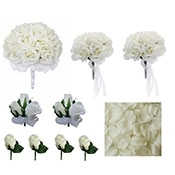 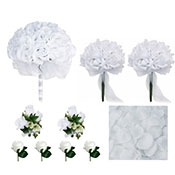 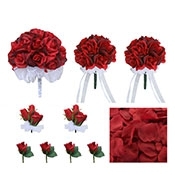 This hand tie makes magnificent bouquets for bridesmaids and can be given away as keepsakes that will help make your wedding day even more memorable for those close friends and relatives that participated in the ceremony. A beautiful bridal bouquet of 3 dozen beautiful open Coral peach silk roses. These artificial silk roses are a peach Coral color and will make you look stunning. Sophisticated but simple. Fancy but understated. 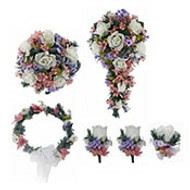 Enjoy the timeless beauty of three dozen hand tied roses, without any wilting worries. These everlasting flowers will also look darling in a crystal vase after the wedding. A vase makes a great bridesmaid gift for her bouquet after the wedding! 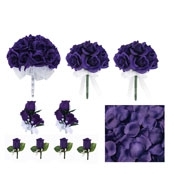 Botanically correct artificial roses look so natural. 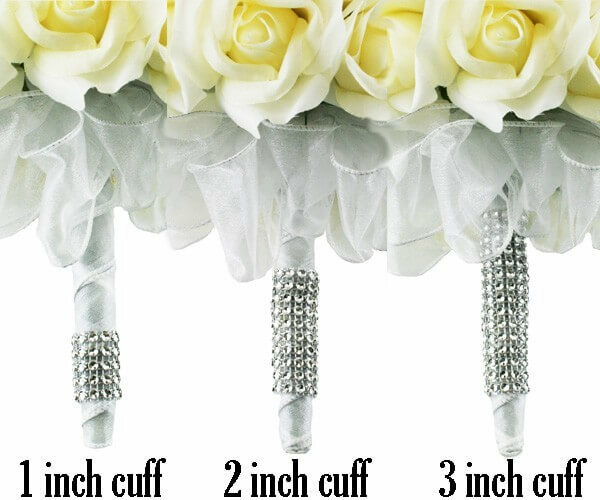 This bouquet is 9 inches wide and 11 inches long.